Jade Craddock heads along to the Cheltenham Literature Festival in England to listen to author David Nicholls talk about his follow-up to the mega-successful One Day. 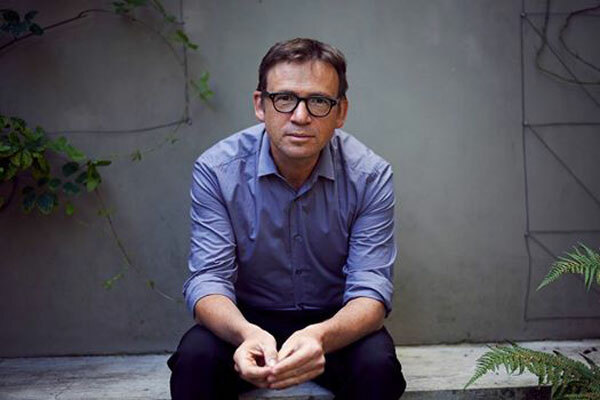 The 2014 Cheltenham Literature Festival played host to David Nicholls. In an hour-long event on Sunday October 5, the author spoke about his long-awaited new novel Us, the success of One Day and his capacity for misadventure which underpins many of the situations his latest protagonist, Douglas Petersen, finds himself in. Nicholls kicked off the event by reading a passage from his new novel and despite only a short glimpse, the humour, authenticity and characterisation shone through. Aside from the passion with which he speaks about his art, it was easy to forget that this softly spoken, genuine, humble man is a world-renowned author and screenwriter and he seemed surprised that so many people would turn out to attend. But after writing one of the most famous and loved romantic novels of all time in One Day, which has sold more than five million copies and been translated into 40 languages, not to mention his recent Man Booker nomination for Us, winning Galaxy Book of the year and numerous screenplays to his name, his pulling power is undeniable. Nicholls openly tackled criticism about film One Day, namely the decision to cast American Anne Hathaway in the role of British protagonist, Emma Morley, admitting that it wasn't uncontroversial but explaining her role in getting the film made. British filmmakers were reluctant to take on the project and it was only once Hathaway had read the novel and fell in love with it that the film took off as a project. And Nicholls was pleased with the final outcome, although a longer version which he loved was originally shot but had to be cut by half an hour. He admits that authors are always haunted by the old adage 'it wasn't as good as the book' and hopes that the film can be judged as great but different. Talking about the structure of his new book which is split into 180 short chapters rather than the 20 chapters of One Day, he said that short chapters made it easier to jump between the past and present - the two timelines that constitute the novel - and also mimic the shifting nature of travel - the novel focuses on a holiday around Europe. Jokingly, he added that the 180 chapters are also equivalent to the length of a screenplay. But he was quick to note that Us would be difficult to adapt to the screen because of its first person narrative and says that whilst Russell Crowe had been hugely complimentary about the novel in tweets, there's nothing more yet to any rumours about a film or indeed its cast. His latest novel Us comes after a five-year hiatus, some of the time spent promoting One Day across the globe but there was also a two-year struggle trying to write One Day's successor. In the end he managed 35,000 words in a painstaking process and eventually his agent suggested that he put it aside. Nicholls admits that part of the problem was that he wrote the novel in the third person and the novel seemed to be somewhat pretentious, looking down on his characters - then just a father and son with no female presence - and teasing them. Rethinking the novel, he had a breakthrough and the outcome was the book he wanted to write, Us. At the lowest point in the writing process, he turned to a program ominously named Write or Die, on which you set a word or time limit and if you stop writing it begins to delete whatever you've written. Whilst Nicholls says that he wrote a lot, none of it was useful. Planning, he says, works best for him. There are inevitable comparisons between Us and One Day, many of which Nicholls joked about, including the fact that he didn't want to write a novel about a couple over 20 years but that Us does so, albeit at a different stage of life. Indeed, Nicholls explains that he was at a very different stage in his own life when writing the two novels, for One Day he was saying goodbye to his twenties and thirties and just becoming a father and for Us he was a family man, a father of two. Family inevitably plays a significant role in the novel and it was this 'family novel' that Nicholls wanted to write. He spoke of his relationship with his own father, who passed away during the writing of the novel and to whom the book is dedicated. Nicholls also challenged the idea that authors should write what they know. In Douglas, Nicholls has written the first protagonist who is older than himself and Nicholls said it was great to write about what he didn't know. Although, Nicholls admits that many of Douglas' misadventures are borne out of Nicholls' own capacity for mishap, including an episode with a pushbike and some bikers in Amsterdam. The dialogue was taken verbatim from his own experiences although he was keen to stress that it wasn't a prostitute who saved him but his Dutch editor! There was inevitable pressure on Nicholls with his new novel but it seems to be attracting positive responses. Nicholls addressed the question of how it was to write again after the phenomenal success of One Day, saying in his ever-humble manner" "To write after success is nothing but a privilege." Here's to many further successes for this delightful author and what a privilege to have met him. Many thanks to Hanna Goldschmidt and the Cheltenham Literature Festival team.